"When you think about level measurement all day, amazing things happen." 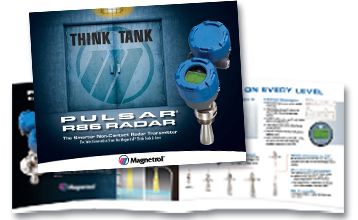 Pulsar® Model R86 is a smarter NC Radar transmitter for level control. This 26 GHz transmitter has a smaller wavelength and improved resolution. It can be installed into process connections as small as 1½”. In addition, it lets you view diagnostic and configuration data for up to 20 events. 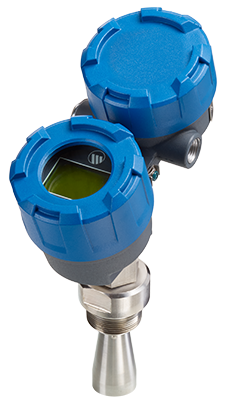 Nirvana for every instrument person is to find a trouble-free, loop powered level transmitter that can be mounted, wired and forgotten. But how close is the reality of “plug and play” Non-Contact Radar? 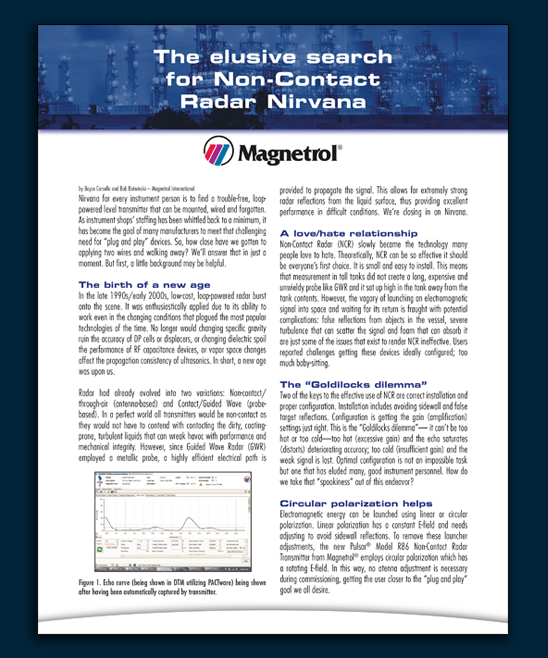 Find out in this compelling new article and track the evolution of Non-Contact Radar technology. Learn how the improved performance and advanced diagnostics mean smarter level control.